Construction | Siller Helicopters, Inc.
Look no further than Siller Helicopters for your heavy lifting needs. Our experts work side by side with the general contractors who are constructing the towers, seamlessly becoming part of your trusted team. We operate world-class Sikorsky helicopters built for power and precision. While other aircraft are solely made for heavy lifting, only the S-64E Skycrane delivers the reliability and is capable of pinpoint accuracy needed to work on Power Grid projects. The S-64E helicopter features three experienced pilots – a command pilot, copilot and aft seat pilot, whose job is to guarantee precision on every job. Siller employs several such pilots, unique in this industry. The Siller pilot group has extensive experience with this type of aircraft. Our pilots in command (PIC) are very experienced, averaging more than 10,000 flight hours and 30+ years experience per pilot. 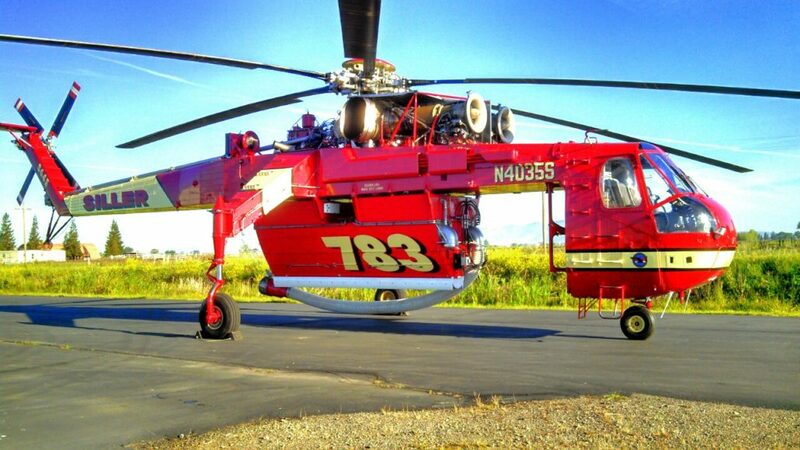 With one of the highest availability rates of any Skycrane operator in the US Forest Service, our downtime is minimal. Siller’s unique integrated business model allows us to fly and service our entire fleet internally, ensuring industry-best readiness and maintenance standards.